This rough Woodworthia Log is 19 x 17 inches wide and stands 16 inches tall. First photo shown wet. Please email for shipping charges. This large AZ Petrified Wood rough log is 38 x 27 inches across and stands 42 inches tall. It weighs 2,971 Lbs. First photo shown wet. Please email for shipping charges. This rough AZ Petrified Wood log measures 33x 23 inches across and stands 15 inches tall. It weighs approx. 750 Lbs. First photo shown wet. Please email for shipping charges. This rough AZ Petrified Wood log measures 27 x 23 inches across and stands 15 inches tall. It weighs about 750 Lbs. First photo shown wet. Please email for shipping charges. This Rough Log measures 31 x 24 x 13 inches. First photo shown wet. Please email for shipping charges. This Rough Log measures 31 x 27 x 21 inches. It has a crystal pocket on the face. First photo shown wet. Please email for shipping charges. This rough log measures 26 x 20 x 30 inches. First photo shown wet. Please email for shipping charges. This rough log measures 27 x 21 x 28 inches. First photo shown wet. Please email for shipping charges. This Rough log measures 24 x 21 x 19 inches. Please email for shipping charges. This Rough log measures 25 x 21 x 30 inches. Please email for shipping charges. This AZ Petrified Wood rough log measures 26 x 27 x 21 inches. First photo shown wet. Please email for shipping charges. This AZ Petrified Wood rough log measures 33 x 28 x 25 inches. First photo shown wet. Please email for shipping charges. This AZ Petrified Wood rough log measures 29 x 33 x 22 inches. First photo shown wet. Please email for shipping charges. This AZ Petrified Wood rough log measures 35 x 23 x 25 inches. First photo shown wet. Please email for shipping charges. This AZ Petrified Wood log stands 26 inches tall and measures 17 x 21 inches across. First photo shown wet. Please email for shipping charges. This AZ Navajo Petrified Wood rough log stands 20 inches tall and measures 22 x 27 inches across. First photo shown wet. Please email for charges. Please email for shipping charges. This AZ Petrified Wood rough log stands 35 inches and measures 20 x 25 inches across. First photo shown wet. Please email for shipping charges. This AZ Petrified Wood rough log stands 15 inches tall and measures 28 x 16 inches across. First photo shown wet. Please email for shipping charges. This AZ Petrified Wood rough log stands 16 inches tall and measures 29 x 20 inches across. First photo shown wet. Please email for shipping charges. This large AZ Petrified Wood rough log is 19 x 13 inches across and stands 44 inches tall. It weighs just under 1,000 Lbs. Please email for shipping charges. 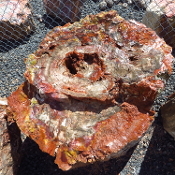 This large AZ Petrified Wood rough log is 16 x 22 inches across and stands 31 inches tall. First photo shown wet. Please email for shipping charges. 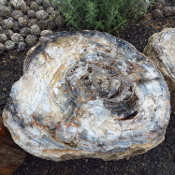 This large AZ Petrified Wood rough log is 17 X 17 inches across and 47 inches long. First photo shown wet. Please email for shipping charges. This large AZ Petrified Wood rough log is 31 x 27 inches across and stands 30 inches tall. First photo shown wet. Please email for shipping charges. 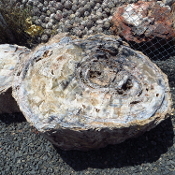 This large AZ Petrified Wood rough log is 23 x 31 inches across and stands 26 inches tall. First photo shown wet. Please email for shipping charges. This large AZ Petrified Wood rough log is 19 1/2 x 21 inches across and stands 26 inches tall. First photo shown wet. Please email for shipping charges. This AZ Petrified Wood rough log measures 22 inches long. The face is 18 x 12 inches across. First photo shown wet. Please email for shipping charges. 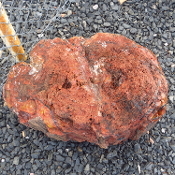 This AZ Petrified Wood rough log measures 12 inches tall. The face is 25 x 17 1/2 inches across. First photo shown wet. Please email for shipping charges. 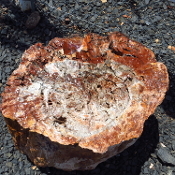 This AZ Petrified Wood rough log measures 12 inches tall. The face is 29 x 20 inches across. First photo shown wet. Please email for shipping charges. This AZ Petrified Wood rough log measures 26 inches long. The face is 22 x 17 inches across. First photo shown wet. Please email for shipping charges. This AZ Petrified Wood rough log measures 22 inches tall. The face is 23 x 18 1/2 inches across. First photo shown wet. Please email for shipping charges. This AZ Petrified Wood rough log measures 18 inches tall. The face is 32 x 28 inches across. First photo shown wet. Please email for shipping charges. This AZ Petrified Wood rough log measures 7 inches tall. The face is 36 x 31 inches across. It weighs 558 Lbs. First photo shown wet. Please email for shipping charges. This AZ Petrified Wood rough log measures 14 inches tall. The face is 24 x 17 inches across. First photo shown wet. Please email for shipping charges. This AZ Petrified Wood rough log measures 22 inches tall. The face is 40 x 31 1/2 inches across. First photo shown wet. Please email for shipping charges. This AZ Petrified Wood rough log measures 16 1/2 inches tall. The face is 21 x 18 3/4 inches across. First photo shown wet. Please email for shipping charges. 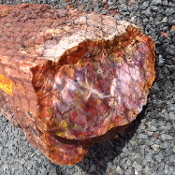 This AZ Petrified Wood rough log measures 18 1/2 inches tall. The face is 22 x 18 inches across. It weighs 402 Lbs. First photo shown wet. Please email for shipping charges. This AZ Petrified Wood rough log measures 19 inches tall. The face is 22 x 17 1/2 inches across. First photo shown wet. Please email for shipping charges. This AZ Petrified Wood rough log measures 16 inches tall. The face is 23 x 18 inches across. First photo shown wet. Please email for shipping charges. 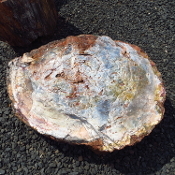 This AZ Petrified Wood rough log measures 12 1/2 inches tall. The face is 19 1/2 x 19 1/2 inches across. First photo shown wet. Please email for shipping charges. 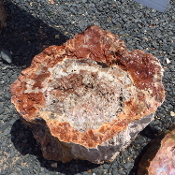 This AZ Petrified Wood rough log measures 11 inches tall. The face is 38 x 29 inches across. First photo shown wet. Please email for shipping charges.